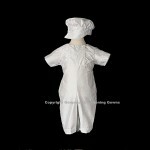 A true family heirloom, to be passed down to the many generations to come. 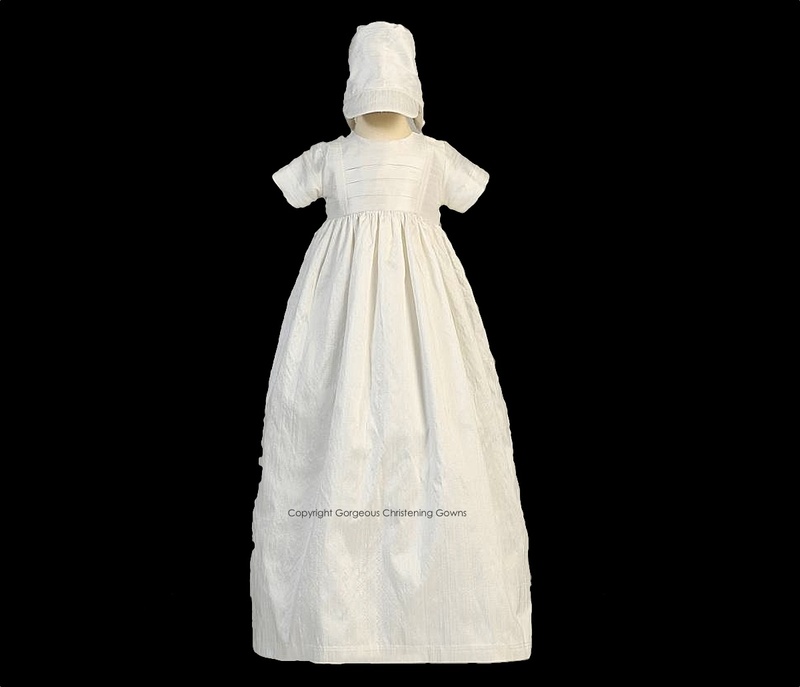 This gorgeous family christening gown is made from raw silk (slightly Off-White). 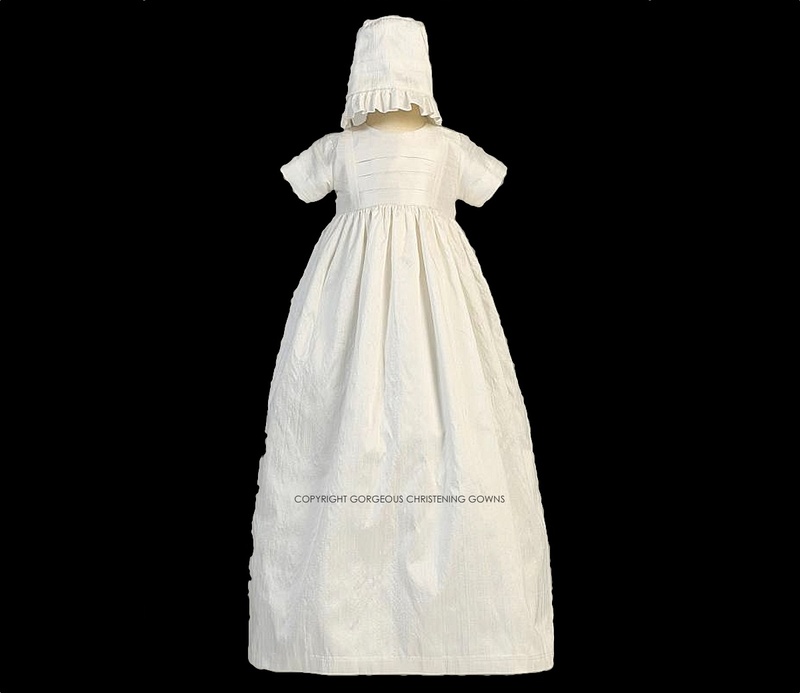 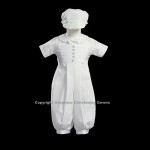 The christening gown has short sleeves and is accented with a pleated bodice that suits both a little prince or princess, as the design is extremely unisex. 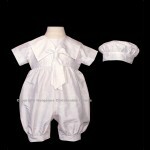 Matching Boys Hat & Girls Bonnet.